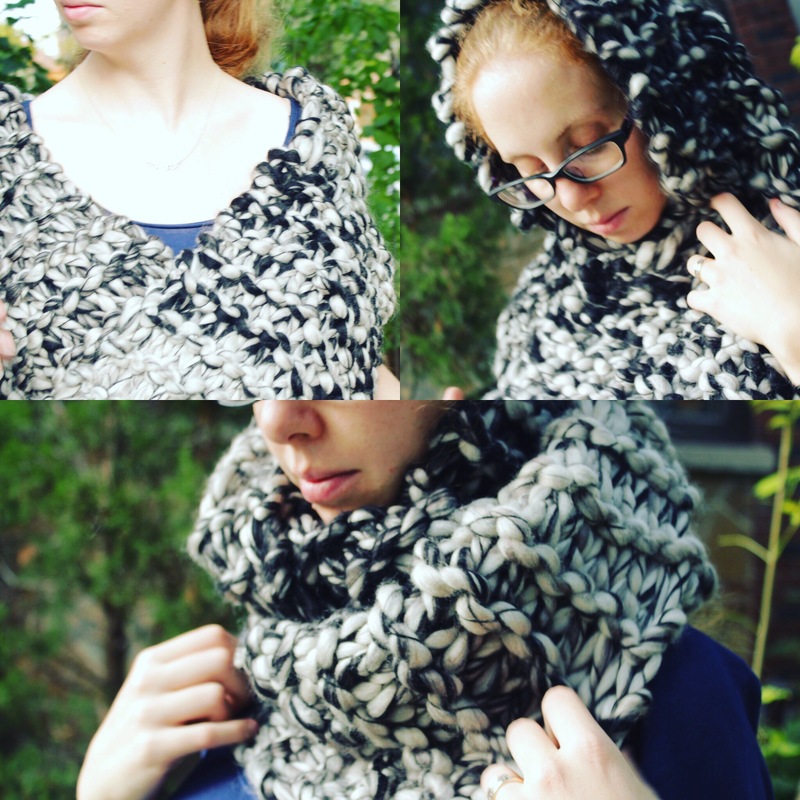 I’m pretty excited about my new crochet project! It came about suddenly….one of those ideas that wasn’t planned but that just started as an experiment….and now, Adopt-a-Creature is a new section in my Etsy store. I also have a new page created where I post photos and locations of my adopted creatures! Hopefully they end up all around the world! Click here to take a look! Each creature comes with a name and an attached story speaking to their personality/likes/dislikes/etc. 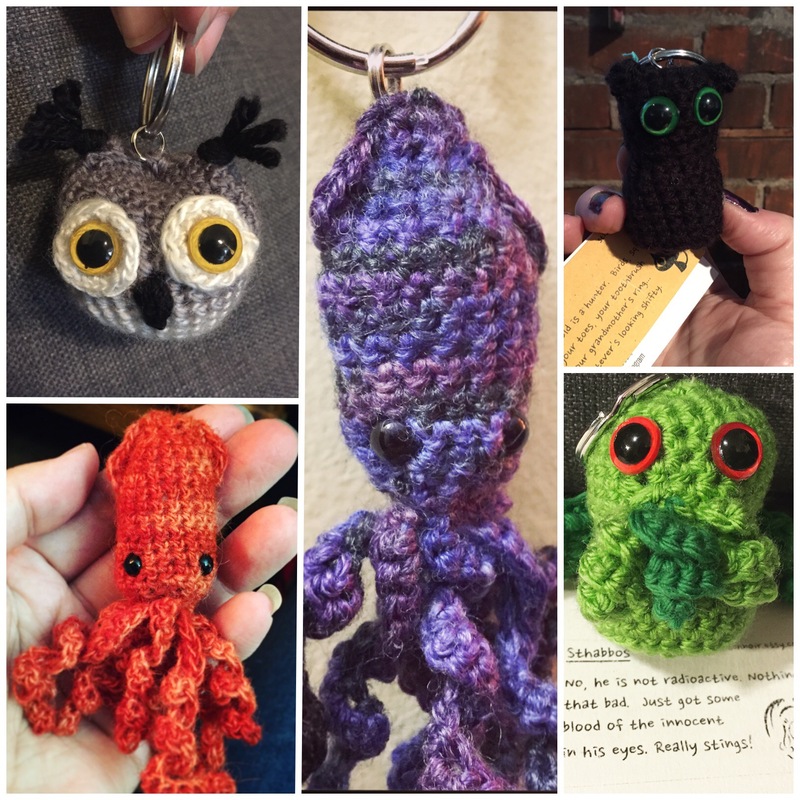 This all began because….about a month ago….I sat down and decided to crochet some amigurumi. I had been working on some large projects, shawls and the like, but that morning I decided to focus on something small. Something that I could complete quickly (well, quicker than a shawl at least) and feel good about doing. So, I made a bat. 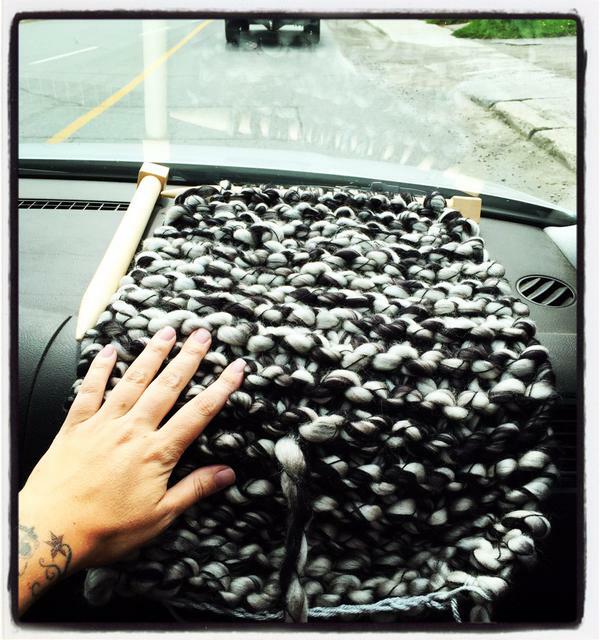 Fibrearts: What can you make in 5 hrs? Yesterday, B and I drove to the Ottawa Valley from Toronto. 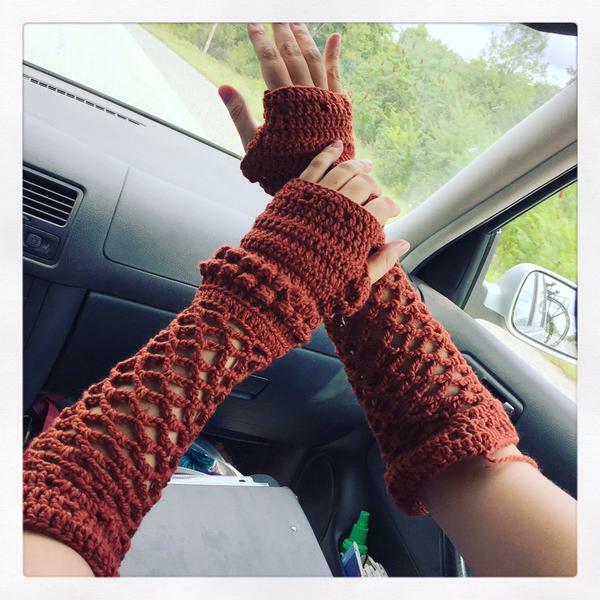 It’s about a 5 hour drive, a drive we have done many times before and I decided to focus on crocheting and knitting the whole way…just to see how much I could do. It wasn’t for speed necessarily…I didn’t want to go as fast as possible and have errors in my work…but it was more for the challenge of the whole thing. Not to mention, I will be vending at the Hamilton Pagan Harvest Festival in a couple of weeks and so, more stock? …that’s a good thing! Cup cozies! …Or are they? 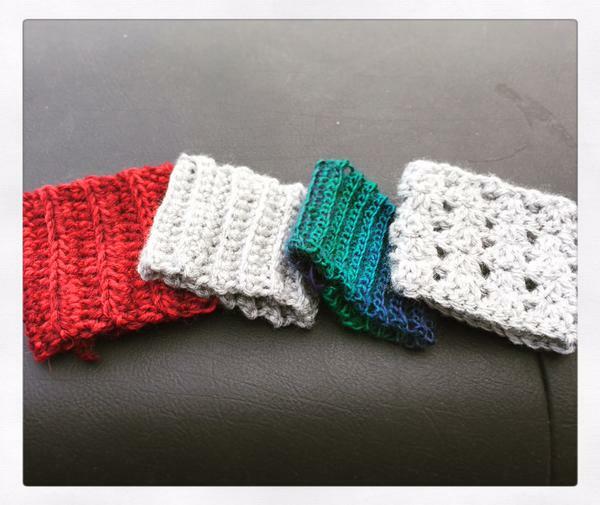 So, I worked on a bunch of cup cozies to start. They’re straightforward and simple so I made half a dozen during the first couple hours of the trip. At the end of hour 2, the Muse took a moment to drop an idea my way. 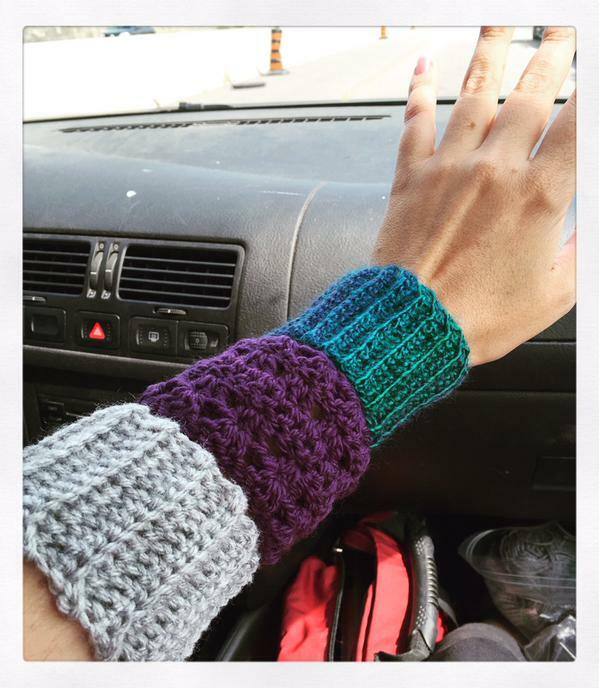 Maybe cup cozies aren’t “cup” cozies at all….maybe they’re arm-cozies! After that epiphany and the completion of half a dozen cozies, I moved on to a pair of long fingerless gloves. I have to admit that I cheated here…somewhat. One glove was already finished and the other was about 1/3 of the way so I completed an ongoing project. Didn’t actually make the two gloves within the 5-hr limit. Pretty happy with them although they aren’t complete yet. They still require some ties … pics to come. Lastly, as we pulled up to my mother-in-laws house, I finished a knitted row of a bulky cowl which is now about 1/3 of the way finished. As a sidenote, I just bought those knitting needles in the picture above. They are 25mm and they are FANTASTIC! They make this hollow wooden clunky sound as I knit, which I kind of like, and they also double as a vampire stake…you know, just in case!